Compared to neighboring Hawaiian islands like Kauai and Maui, Hawaii the Big Island feels like a different world with its striking landscape of jet black lava rocks and its contrasting climates spread across its massive landscape. It was built out of five different volcanoes, three which are still active today. Four days gives you a solid introduction to this magical island, where each day you can go explore a different corner, from the lively west side to the more remote jungle landscape of the east. Here’s a complete 4-day Big Island itinerary that will help you best maximize your time on this beautiful island. When is the best time to visit the Big Island? Shoulder seasons between April-June, and September-early November, are ideal when the weather is mild and there aren’t peak crowds. The busiest time of year is during the summertime when schools are out, and during holidays like Christmas and New Year’s. The weather is pleasant year-round (it’s Hawaii after all), but the winter can bring some rain storms, especially on the the east side. One of the upsides of the winter season besides less crowds, is that you might be able to see humpback whales migrating from Alaska-a special treat in itself. This national park that is home to an ancient sacred site is a great spot to start your island exploration and learn more about Hawaii’s rich history at the informative Visitor’s Center. The drive down to this park is stunning and goes through several climates, driving along winding roads you will pass overcast roadside towns, and then as you get down a few miles closer to the beach it is complete dry and sunny. Word to the wise: go early to beat both the crowds and the heat. The park is open from 7am to 15 minutes after sunset. A short walk from the City of Refuge is one of the best snorkeling spots on the island. Get up close and personal with the dolphins, reef sharks, and numerous species of tropical fish. The coast is made up of lava rock and offers a jumping off point into the waters below. This place is called Two Step because of the natural rock staircase where snorkelers can ease themselves slowly into the water. Make sure to wear protective foot gear like aquatic socks that protect your feet against the sharp rocks. The water can often be rough, so take the proper precautions and opt for calmer days if possible. This short loop hike surrounded by lush greenery makes you feel as if you’ve been transported to a tropical wonderland. Admire the lush foliage and mini-waterfalls along the paved pathway before reaching the highlight of the hike: the 442-foot Akaka Falls. There are two trail options: the easier one with 50 steps and the more challenging one with 400 steps if you want to feel the burn. The entire hike takes 30-35 minutes to complete. The park is located about 11-miles from Hilo, right off Hwy 220. Parking is $5. Hawaii National Park is worth braving the crowds for to learn more about the two active volcanoes, Kīlauea and Mauna Loa at the Kilauea Visitor Center, where you can also learn what is worth seeing that day. Make your way along the Crater Rim Drive and stop at the different lookouts and witness things like steam rising from the Kilauea Caldera. The Thurston Lava Tube is a personal favorite, where you can hike through a subterranean cave that was carved out by lava flow and see firsthand how volcanic activity helped shaped the island. Start your day out in the biggest city on the Gold Coast, walking around Ali’i Drive, the main seaside thoroughfare in Kailua. Afterward head over to Manini’owali Beach (better known as Kua Bay), with its dreamy turquoise waters and white sand beach. Stop at the Kona Farmers Market, for some fresh fruit, produce and souvenirs. If you love coffee, the trek up to Mountain Thunder Coffee Plantation is worth the winding roads to the top of Hualalai Volcano in the middle of the “Cloud Forest,” where you can go on a free tour to learn about what makes Kona coffee so world famous. This white sand beach is ideal for bring a good book and soaking up some tropical sun. Get there early to get a prime spot (read one of the coveted shaded areas), we got there at 10am and it quickly filled up after that. The waves are a perfect size for boogie boarding, and the waters are home to some excellent snorkeling. Rental gear is available next to the snack shack right on the beach, as well as nearby resorts shops. There are lifeguards on duty, as well as clean restrooms that round out a memorable beach day. Parking is $5. This scenic stretch of narrow road along the Old Mamalahoa Hwy is a must if you’re in the area, guiding you through lush jungle landscape (and sometime occasional downpours). On the way you’ll pass one-lane bridges spanning over waterfalls and bubbling streams. The cherry on the top is the spectacular view of Onomea Bay. Although this road meets Highway 19 at both ends, starting your trip from Hilo will make things much easier, since there are signposts between mile markers 7 and 8 directing you where to go. A tiny charming town (and the only one on the Hamakua Coast) that’s a great stopping spot before going onto the Waipi’o Valley. Historically, this town was the third largest of the entire Hawaiian Islands when it was at the peak of its cattle and sugar industries. After the last sugar harvest was processed in 1933, the town slowly reinvented itself and became known for its crops like mushrooms, vanilla, tea, and coffee grown by local farmers. Join a guided tour on one of the farms, including the Kahi Ola Mau Farm for all things chocolate. Its rugged character is especially apparent in events like Honoka‘a Western Week, that celebrates all things paniolo (Hawaiian cowboys). Translating to “curved water” in Hawaiian, this stunning coastal valley has historical significance being home to Hawaiian royalty until the fifteenth century. There are two ways to get to the valley floor from the lookout, either you can hike the 4.2 mile round trip route to the bottom via the Waimanu or Muliwai Trail, (which is not for the faint of heart since there’s a steep incline), or drive down a winding paved road that only allows 4 wheel drive vehicles. There is a black sand beach at the shoreline that is a popular surf spot. The Big Island is double the size of all the other islands combined, and choosing where to stay is an important decision that depends on what sights you want to be near. 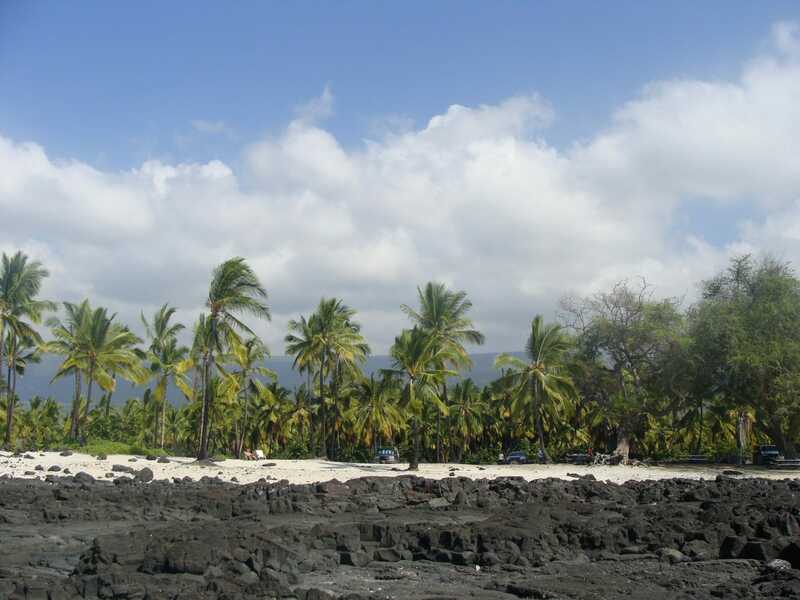 Popular towns are Kailua-Kona on the west side where you’ll be in the center of cultural attractions, and quieter (and wetter) Hilo which is on the east side where you’ll be in closer proximity to places like Hawaii Volcanoes National Park. A reasonably-priced hotel in a central location that allows for an easy drive to either the north or south of the island. Downtown is walking distance from the hotel, as well as sights like Hulihee Palace. Amenities include an outdoor pool, and a free breakfast. This mid-range hotel is a great spot for those who want to be centrally located, but are looking for reasonably priced lodging. The hotel is close to tons of great shopping and dining options, including a restaurant on property. Best of all it’s a block from the ocean. The sister property to Kona Seaside Hotel, is another comfortable and affordable accommodation on the lush east side. A free breakfast is provided with every booking that is made directly on the website. Nearby sights include Coconut Island Park and Liliuokalani Park and Gardens. This post contains an affiliate links (with no extra cost to you). Thank you for supporting Small World This Is. What would be on your Big Island itinerary?